Welcome to the JVNP 2.0 Update featuring a JV request courtesy of fellow JVNotifyPro Partner Gina Gaudio-Graves (Directions University – JV Manager Training Program high ticket affiliate program JV invite), Buzz Builders (Ronnie M – Copy Trade Profit CPA launch) and More … in Today’s the JV Queen is back on the JV training scene edition. The JV Queen, Gina Gaudio-Graves, is one of them. She left the world of JV Brokering in 2007 to become a Coach and Mentor. But she hasn’t taught JV Brokering in the last 5+ years. What made Gina unique as a JV Broker was that failure was not an option. During the time that she brokered, she needed over $40,000 a MONTH to pay for the medication that was keeping her alive. That meant that she had to do JVs very differently than just about anyone else, as those JVs HAD to succeed! Today, she is teaching her strategy in a 16-week JV Broker Training Program that offers a $500 affiliate commission. Her story is VERY powerful and converts people like crazy! 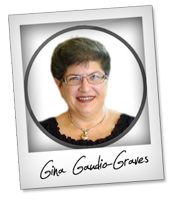 Gina’s providing Affiliate swipes and banners and she’s available to do a webinar and/or Hangout if your list prefers. Since Gina usually opens her rolodex to her students, this is one opportunity that you don’t want to miss. It could easily mean extra JV Partners for YOUR business! Register as a JV/Affiliate on the JV Page below to gain access to your affiliate links, swipe copy, Gina’s contact details and more. Top Clickbank Product Will be RELAUNCHING On 20th April! Previous versions have been proven to convert profitably – promoted by Matt Bacak, Anik Singal, Ewen Chia, Chris Carpenter, Bryan Winters, Paul Counts and many. The product has work for customers to make money online! Visit the CB Passive Income 3.0 JV Page. Got an IM / biz opp / list-building / FB / MLM / get-traffic / Empower list? Mo Latif launches Traffic Monopoly on 20th April. Earn up to $241 per sale with $5,000 in cash prizes. Traffic Monopoly JV Page. Our Team Has Created More #1 Offers Than Any Other In ClickSure! Be a part of the next SURE #1 Binary Offer while earning Up To $500 CPA! Plus we’ve got over $35K in JV Leaderboard & Daily JV Prizes! Visit The Copy Trade Profit JV Page. Take part in the hottest Amazon FBA launch of the year at a price point that your customers can afford and still puts money in your pocket. Over $13 million in proof from the last year to validate the system we are teaching. Over $100,000 in prizes & $500+ commissions. Ecom Masters FBA Edition JV Page. $40,000 in Launch Prizes including an $18,000 Jeep Renegade! I’ve paid out over $4 Million to affiliates recently. This is my first ever JV Zoo launch so I’m totally focused on making it EPIC for you. You’ll get huge EPC’s with up to $194 per buyer in instant Paypal payments! TeeAdvantage JV Page. Earn $5,000+ (!) For Each Customer you invite to a FREE Webinar (Make $$$ On All Upsells)! Be a part of The Most Impactful Launch Of 2015 In The Master Coaching Niche… Not only will it make you more money, faster, than many programs you have marketed, but also leave you feeling fulfilled, knowing you have just contributed to happiness and self-actualization for thousands of people. Rainmakers Coach Blueprint JV Page. Long time Internet Marketer Jimmy Kim is releasing his “Build My List” on JVZoo .. a simple 5 step list building system and it INCLUDES all the tools – It’s a true “complete” program. With over $40,000 in prizes, this launch is one you do NOT want to miss. Get all the details on the Build My List JV Page now. Hameet “Paul” Sethi, Dr. Nimisha Vijay (Dr. Amit Pareek’s wife), Karl Schuckert, Dori Friend, Dan Brock and other fellow JVNotifyPro 2.0 VIP partners are waiting in the wings … keep your eyes on your Inbox, and follow the action in the JVNP 2.0 Premium VIP JV Announcement forum archives.